Sometimes we Danes can be hard to convince. I won't use the word, "stubborn" although I have friends who would throw that word at me with the gusto and delight of a cream pie! (Coconut, if you must!) No, I'll say slow to change our minds. We still don't really see the point of covering a perfectly good sandwich with a second piece of bread. That's pretty much the reason why Niels Gade had to premiere his first symphony in Leipzig rather than Copenhagen...and his Second Symphony...and his Third. Danish reaction was something like: are you sure he's really that good? Felix Mendelssohn, director of the Leipzig Gewandhaus Orchestra thought so. 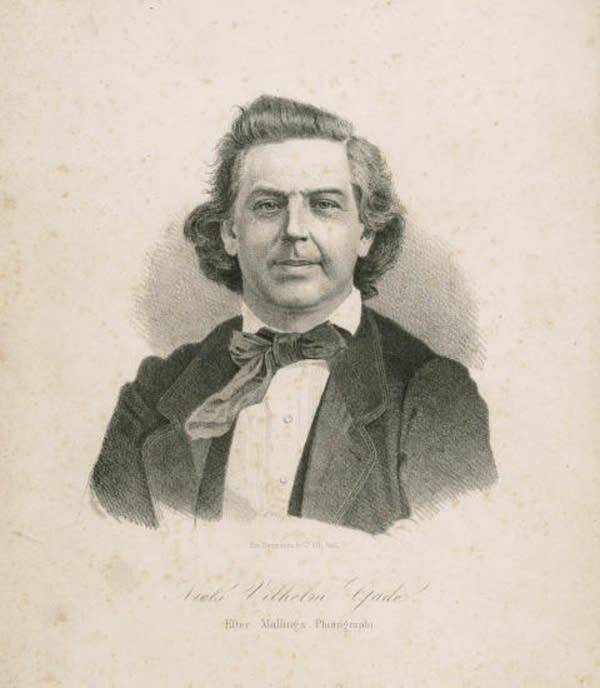 It took those 3 enthusiastic German performances and over 8 years, but Niels Gade's Fourth Symphony was premiered in Copenhagen... and the audiences were just fine with the next 4 as well.